1. 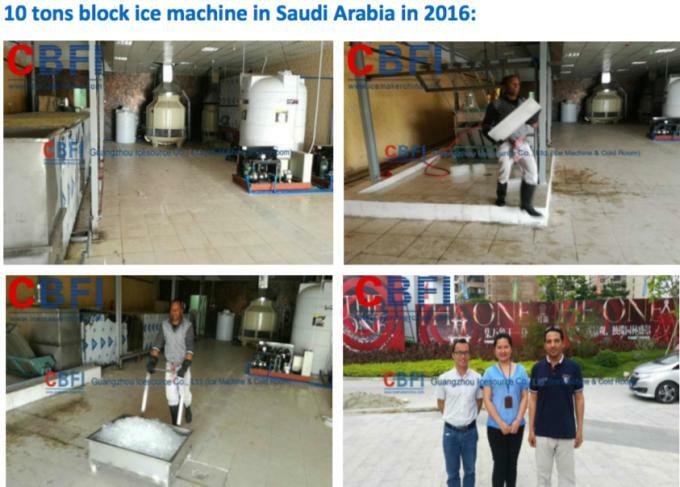 Block ice machine capacity: from 1 ton to 200 ton per day for option. 2. 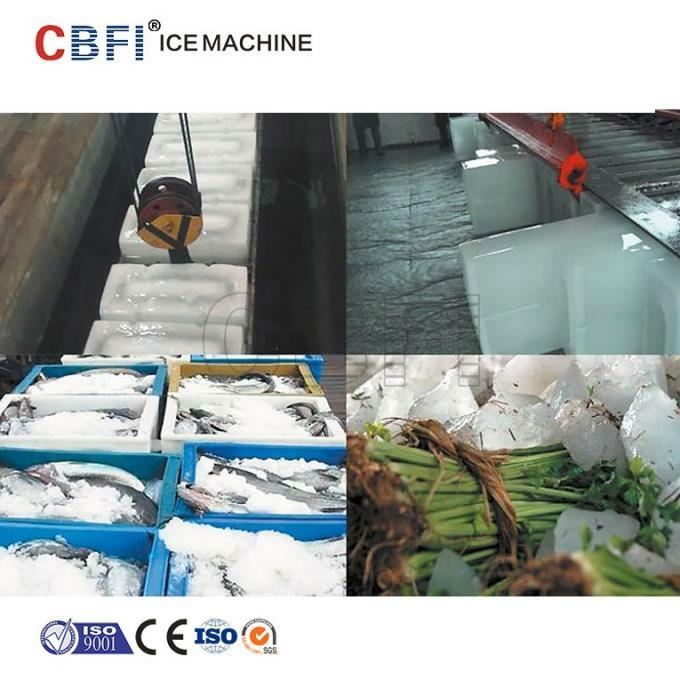 Block ice size and weight : can be customized, any block ice size and weight can be design base on customer need. (Normally we will offer 5Kg, 10Kg, 15Kg, 20Kg, 25Kg, 30Kg, 35Kg, 50Kg, 100Kg,150Kg,200Kg). 3. Material of ice mold: SUS304 stain steels or galvanized steel. 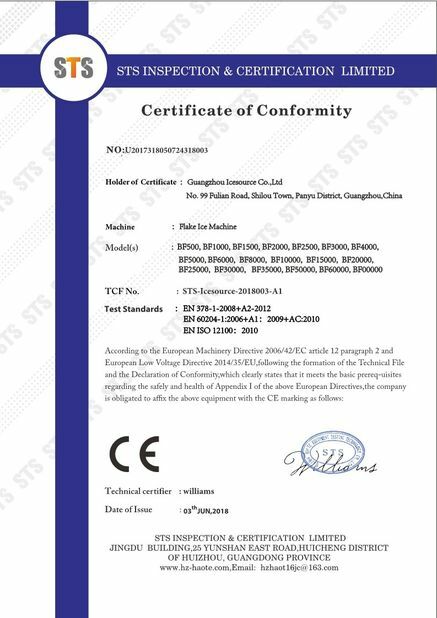 Coil pipe evaporator: 3mm thickness Seamless coil pipe,Use X-ray flaw detection to make sure the coil pipe no leaking , inner pipe derusting processing. 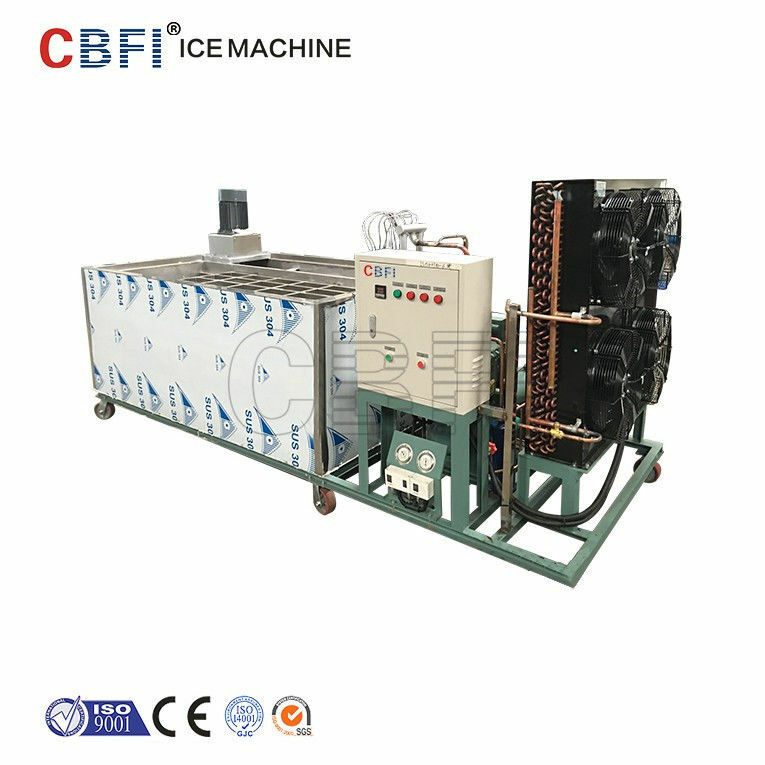 Energy-saving: Ice-making power consumption had declined from 110kw.h to 70kw.h/ton block ice. 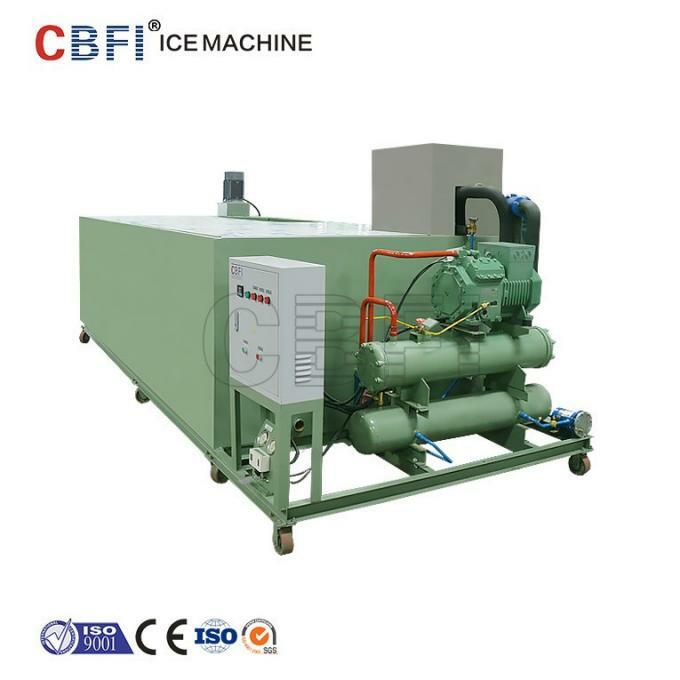 Agitator instead of water pump: High quantity of brine flow and better heat exchange effect. you don't need to worry about the high cost for repairing the water pump. 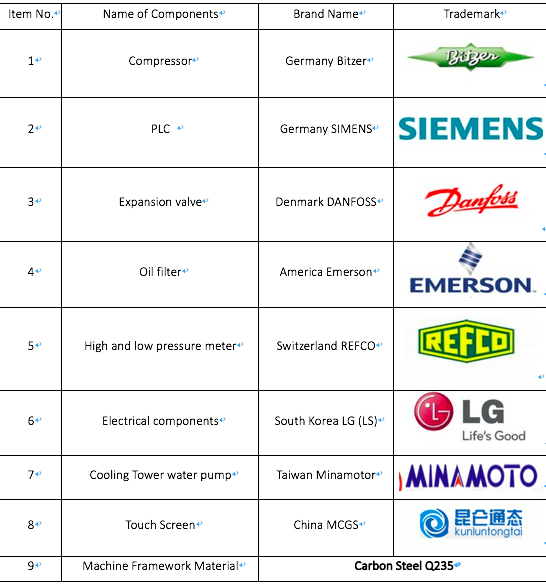 Large Hot Gas Receiver to avoid the liquid impact, protect the compressor. Brine tank use PU forming to isolate the brine water heat exchange with outside, save energy. Ice mould Use Laser cutting and machine welding. Make the welding part very smooth and strong. Average life span more than 20 years. 1) Cold room: store ice and keep ice for long time. 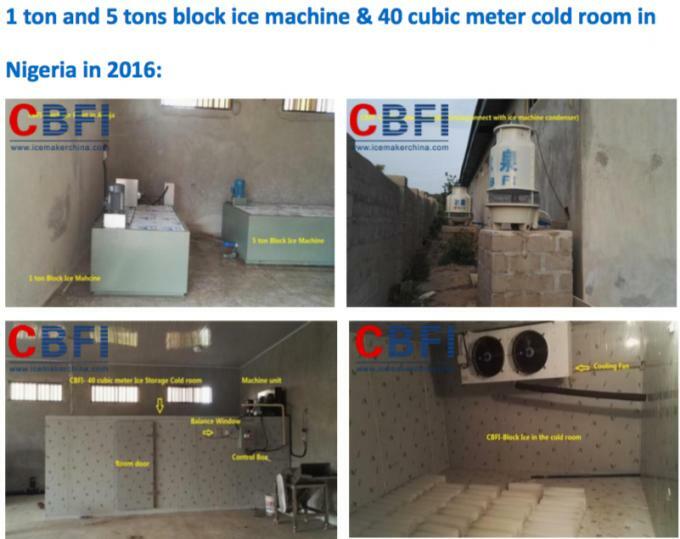 Ice plant design according to customer’s factory size, CBFI offer the best solution for ice plant.